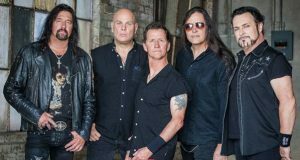 Born out of the West Coast metal scene of the 80’s, METAL CHURCH quickly became one of the standout talents of the genre. After signing a deal with Elektra Records, they released two critically acclaimed albums. Their self-titled release ‘Metal Church’ established the band as one of the pioneers of the thrash/metal scene and earned them a major tour with then label mates METALLICA. Vocalist Mike Howe originally joined METAL CHURCH in the late 80’s and released three albums with the band: The Human Factor, Blessing In Disguise and Hanging in the Balance.Mike was also the face of group’s popular music videos ‘’Date With Poverty’’ and ‘’Badlands’’ that aired during MTV’s heyday. 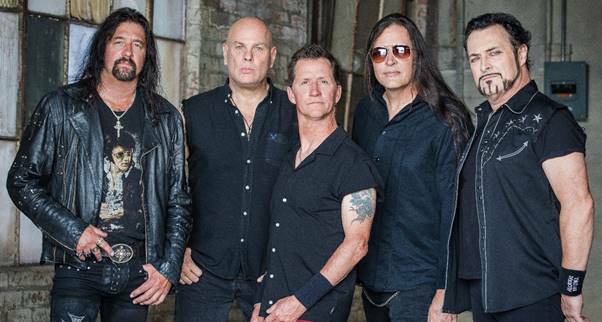 In 2014 Howe returned and is now well and truly back in the fold and everyone has celebrated “the rejuvenation of the Metal Church nation and now it is Australia’s Turn. 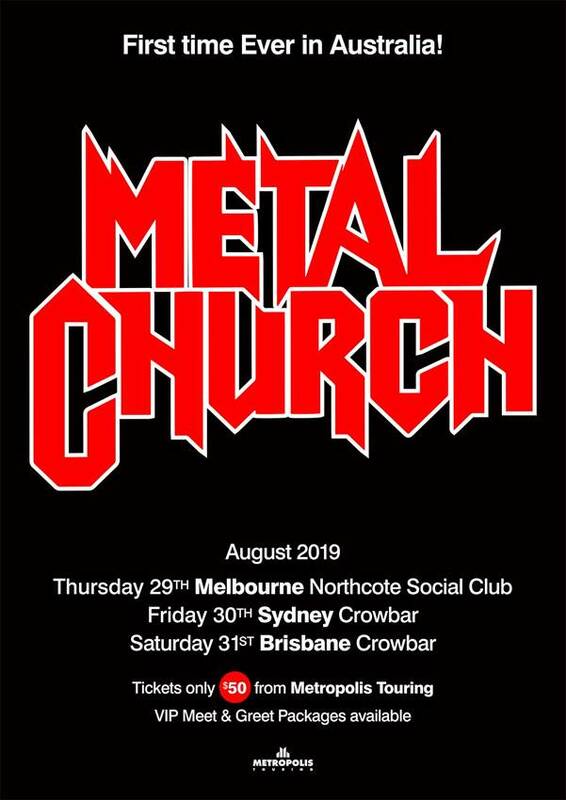 Seeing METAL CHUCH Live is an absolute must as one of Metal’s most iconic and genre defining bands hits Australia for the VERY first time.